My first race on Diamond Cutter was in the late 1970s, the day of the first Bruce and Walsh series. The boat was apparently short of crew that day, and so Mike Sharp ('Sharpie') had rung me up and asked if I would like to sail. I was thrilled - and nervous - as I had sailed J OG boats for years; however this was my first time on a premier race boat. In those days there were a few women sailing on J OG boats, and next to none sailing on competitive ocean racing boats. I can honestly say that when I stepped on board I was politely but not that warmly received. 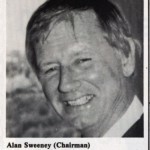 I think that Sharpie had forgotten to tell Alan Sweeney that I was a female. I later found that dressed in wet weather gear, it wasn't until the end that Alan found out that crew member was female. Anyway she had prepared the way, and I didn't get kicked off. Instead I was relegated to the runners! 'What are they?' I whispered to Sharpie. I had steered, trimmed, navigated and worked the foredeck on J OG boats, but had never come across 'runners'. Of all the jobs that were available on this boat, I had to be given the job I didn't know anything about. 'Not a problem', said Sharpie, 'you will only be working the leeward one anyway; the only problem is that you have to be really quick to let it off when we gybe or we will be in deep trouble'. Well, that did not make me feel any better and of course during our first gybe I got the runner the wrong side of the boom and there was much cursing. At the end of the race, Alan thanked me and I said I was available the next day. He said he thought he had a full crew anyway, but I volunteered to turn up just in case. The next day someone was missing and I eagerly jumped aboard. After a few weeks, I found I hadn't missed a race and I loved it. Then came the first long ocean race to Bird Island. They were all preparing to go and it didn't look as if I was going to be included. I asked Alan if I could go and he replied: 'Well, Women are OK on short races, but they're not really designed for long races'. I think Alan at the time really believed this, as he was a real gentleman. Anyway, I convinced him that I could cope and it would not morally corrupt me, nor would I be shocked by males doing what males often have to do. (To tell you the truth, I still don't know what it is they do that is so tenable.) 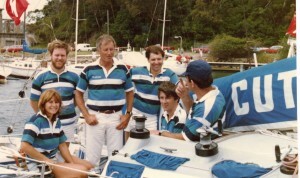 By the end of the year, I had never missed a race, including Southport and Mooloolaba, so I Was really disappointed that I was not on the crew for the Sydney to Hobart. I have always found though, that you never get there by complaining and whingeing, and I was more than happy to be given the opportunity to do what I had done. Believe me, there were not that many skippers and crews at the time that would accept females the way ours did. 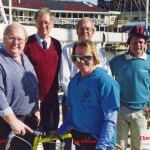 I went on to sail with Alan for several years and we even enlisted a second female, Deborah Winfield. Sailing on Alan Sweeney's Diamond Cutter was one of the most enjoyable periods of my life. As can be seen from the results hanging on the wall at MHYC, Alan was a talented owner and skipper who knew how to put together a skilled and dedicated crew. 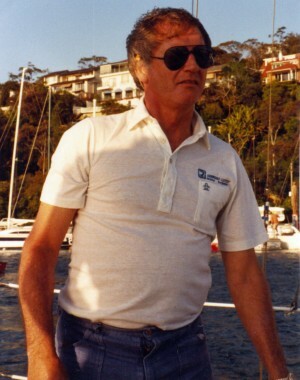 Most of all he knew how to have fun and he really enjoyed his sailing. He gave me a great opportunity to sail with some of the best.